The winner, an 11/1 shot, pulled clear of runner-up Overturn, while Walsh had to be content with third place on last year’s winner Hurricane Fly, the 4/6 favourite. Winning trainer Paul Nicholls, who ran four in the race, was landing his first Stan James Champion Hurdle. He attributed the victory to ‘Team Ditcheat and Team Seaborough’, a reference to his own yard and that of Richard Barber, who runs Nicholls’ satellite base. Barber, a point-to-point trainer, bought Rock On Ruby for £23,000 as a four-year-old at Doncaster and has housed him at his Manor Farm stables ever since. His assistant, Harry Fry, said: “I was surprised the challengers didn’t come - I didn’t expect him to win that well. It is marvellous for Noel. Ruby was never going to get off Hurricane Fly and all our jockey plans fitted in well. Daryl Jacob had won on Zarkandar so he rode him, and Noel partnered Rock On Ruby in a bumper and has been part of the team for a few years. It’s a brilliant day. Nicholls said: “It’s a big team thing. Harry worked for me as assistant before joining Richard full time and everyone deserves praise. It’s a big reflection on the team headed by Richard and it was a great ride by Noel. “I’m speechless. As time went on I fancied him more than my other runners. I feel Zarkandar left the race behind at Newbury [when he won the Betfair Hurdle] and he didn’t look great in the paddock today, and you need an older horse [Rock On Ruby is seven, while his stablemates Zarkandar and Brampour are only five]. Donald McCain, trainer of second-placed Overturn, saddled the Stan James Champion Hurdle runner-up for the second successive year, after Peddlers Cross. “For just a few strides between the last two I thought he might just win it, but I think Rock On Ruby idled a bit in front, and in fairness he went away from us again. I was just panicking a bit in case he paid for the effort of going with yer man [Rock On Ruby] and it cost him second place, or even third or fourth. He just wouldn’t have deserved that, and to see him keep at it up the hill like he did was just wonderful. He’s all heart. “I was disappointed, but the winner won well, went out and grabbed the race, so credit to him. 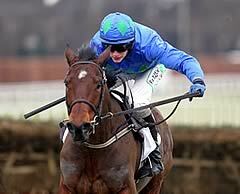 Ruby [Walsh] said Hurricane Fly felt flat coming down the hill. He hoped he’d have quickened, but he didn’t. He got the horse into a nice position again going to the last, but he had to use up all his petrol to do it, and couldn’t match the front two. “It was disappointing, but even with the best of horses this day is always going to come. We hope to be able to get him back on track for the next time, probably at Punchestown. persistent frost, in 1943 and 1944 because of the Second World War, and in 2001 because of foot and mouth disease. 2. There have only been three sponsors of this great race since its inception. Waterford Crystal backed the contest from 1978 to 1990, while the Smurfit Group sponsored the race from 1991 to 2010. Stan James took over the sponsorship in 2011. 3. The largest field has been 24 (1964 and 1991) and the smallest three (1932). The first five runnings of the race saw a total of only 24 runners between them. The current safety limit is 28. 4. 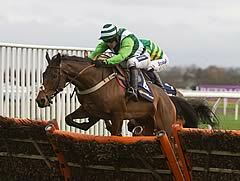 The Stan James Champion Hurdle is a contest for multiple winners. Peter Easterby and Nicky Henderson are the race’s most successful trainers, with five wins each. Easterby’s victories came courtesy of Saucy Kit (1967), Night Nurse (1976 and 1977) and Sea Pigeon (1980 and 1981). Nicky Henderson’s five victories so far have come with See You Then (1985, 1986 and 1987), Punjabi (2009) and Binocular (2010). 5. Among jockeys, Tim Molony won the race most often with four victories, on Hatton’s Grace (1951) and Sir Ken (1952, 1953 & 1954). A P McCoy is the most successful current jockey with three wins aboard Make A Stand (1997), Brave Inca (2006) and Binocular (2010). 6. The most successful owners are Dorothy Paget, who won the race four times thanks to Insurance (1932, 1933), Solford (1940) and Distel (1946), and J P McManus, who owned triple winner Istabraq (1998, 1999 and 2000) and Binocular (2010). 7. 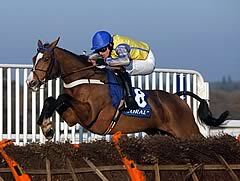 Istabraq, successful in the three Champion Hurdles from 1998 to 2000, was retired after failing to become the first horse to win the race four times in 2002. The four other three-time winners are Hatton’s Grace (1949-51), Sir Ken (1952-54), Persian War (1968-70) and See You Then (1985-87). 8. The race has been won seven times by entires, but only twice by mares - Dawn Run (1984) and Flakey Dove (1994). 9. Four greys have won, the most recent being Rooster Booster in 2003. The others were Kribensis in 1990, Our Hope in 1938 and Victor Norman in 1936. Only one roan horse has won the Champion Hurdle, Anzio in 1962. 10. Istabraq’s success in 2000 in a time of 3 minutes 48.1 seconds beat the previous Champion Hurdle record time, set by Make A Stand in 1997, of 3 minutes 48.4 seconds. 11. Dessie Hughes, who trained Hardy Eustace to win in 2004 and 2005, is only the fourth person to have both ridden and trained a Stan James Champion Hurdle winner, having partnered Monksfield in 1979. The others to have achieved this double were Fred Winter, Fred Rimell and Gerry Wilson.